Finding a teacher that really resonates with you is my top advice. Maybe seeing them working, going along to one of their classes, meeting them, chatting to them. Possibly stating the obvious but going to a class ? That is a pre-requisite of the training so pop along to a class in London and be sure that you are feeling the connection. We are in Finchley and Archway and soon to be adding another venue. When you train with us, you will be sure to have a a small enough group to really receive enough individual attention. Generally speaking never more than 6-8 in a class with one teacher. In the same respect you are learning to work with groups, we do that within a group. The class will not run with less than 4 participants. It is not a numbers game to us, it is our love, our passion and our life. We love our work, we live our work. You then get the certificate 🙂 Yey and have the support of a good teacher behind you. Most likely a support network, and an opportunity to keep in touch, regular cpd opportunities which of course you will get with our Laughter Yoga Wellness Training Academy. It is an incredibly powerful holistic and complementary wellbeing tool that is so very needed in our often fast paced and stressful lives. As the saying goes “Laughter is the best Medicine” 🙂 and sometimes it really really can be. However laughter does not replace conventional medicine and we always recommend Laughter Yoga as a complementary method. I have heard many instances of people benefiting in amazing ways from practising laughter yoga. Laughter Yogis around the world are increasingly being called to work in therapeutic and medical environments, with cancer patients, dialysis patients, chronic pain clinics, psychiatric wards and other therapeutic settings. Why train as a Laughter Yoga Leader ? Perfect addition to any holistic or therapeutic tool box. To bring more laughter and joy in to your own life. Start a Laughter Club for your local community. 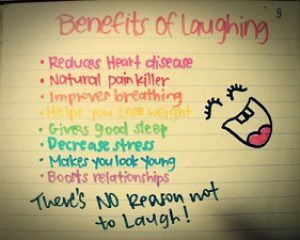 There are so many reasons and so many benefits in learning to become a laughter yoga leader. Imagine having such a powerful holistic tool to work with which can be life changing for recipients. You can really, seriously make such a difference to the lives of so many people. The best way to gain experience as a new laughter leader is in running that laughter club, running regular clubs or classes is going to be your biggest teacher. You have the basic guidelines and the certificate and now the real learning begins! Laughter clubs and classes are the place to try new material, and be creative, it’s all about creativity 🙂 You will learn something from every group you work with, you will gain the experience you need to eventually start working professionally. I encourage those I have trained to work together, to collaborate. Most of my new leaders come along and work with me that invitation is an open one and can really help building up confidence and gaining experience with a real group of participants:-) Stick with it, it aint easy but it is so so very much worth it. You also have the opportunity to see how people gain so much from our work, by seeing their journey over a longer period of time. You will also have to work harder at your regular classes, refreshing the content, getting creative in doing so, its the most amazing part of your training. Get in touch with us about our laughter yoga training here in London. We have trained over 40 laughter yoga leaders from as far away as Oslow and Sweden here in London. A new training school with a fresh approach to laughter yoga training, support and development. Our training school is based right here in the City of London. Angel and Islington, just one stop from Kings Cross. 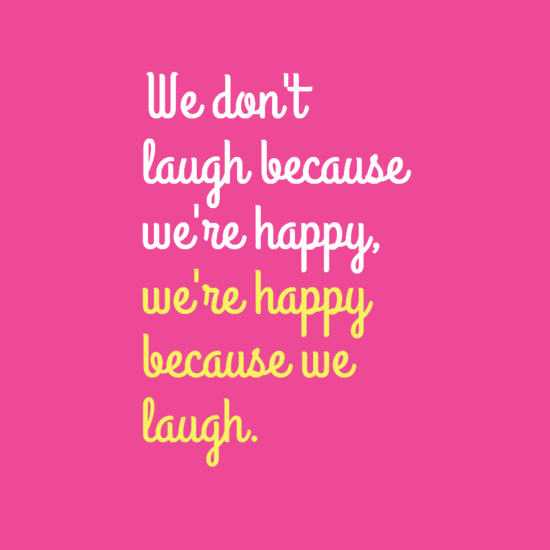 We run our laughter yoga classes in London Finchley and Archway and Angel. Next training dates 23rd and 24th August 2018 in London and just one space remaining. We are super approachable and super friendly, give us a call if you have any questions and better still pop along to a class and chat over a cuppa at an after class social in Archway. Contact us via email or telephone. Special Laughter Yoga Leader Training plus advanced module! 30th November to 1st December 2018. 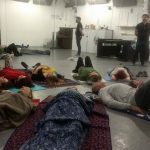 Booking via http://www.londongong.co.uk/event/laughter-yoga-leader-london/ Spaces are limited as we keep our classes small. Saturday October 6th Laughter Yoga CPD Laughternoon for Laughter Yoga Leaders trained by Laughter Yoga Wellness Training Academy. We take Laughter Yoga Training seriously and CPD events are vital in ensuring all our leaders are fully supported. Laughter Yoga Summer dates for public laughter yoga wellness classes in London. Our classes are held at Hargrave Hall, Hargrave Road, Archway, London, N19 . We are usually in the Upper Hall and you can pay £10 on the day or book in advance. As the summer months tend to be quieter with festivals and holidays in full swing, we will just be running one class per month in July and August but subscribe to our mailing list as we may run a last minute outdoorsey class or two over the summer months. Advance bookings secure you a space. For Finchley this is advisable. Archway it is okay to pay on the day. Please bring correct change. Gong Baths in Camden. Usually 2nd and 4th Saturday evenings per month. Check website for dates and booking. Laughter Yoga Leader Training in London August 2018 at our fabulous Laughter Studio in the heart of the city, the home of our London Training. Ideal for mainline trains coming in to Kings Cross, Farringdon and with hotels and hostels within walking distance to suit all budgets. London is easily accessible from all major London airports too making this an ideal choice for those travelling from Europe. 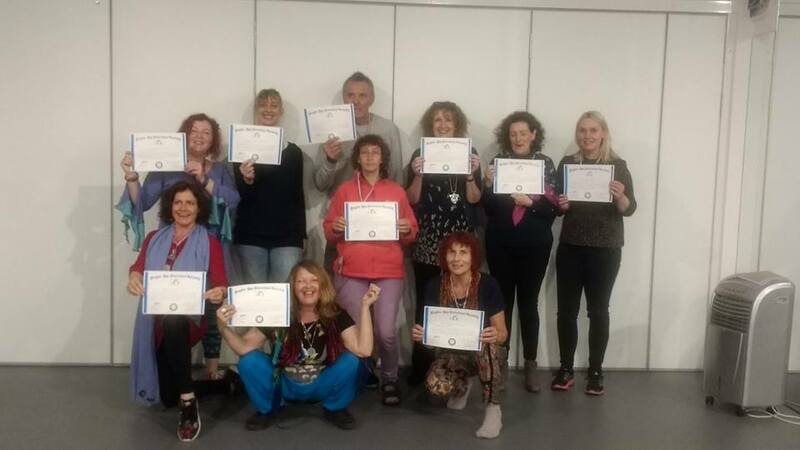 Laughter Yoga Wellness UK opened their Laughter Training Academy in 2017 and are going from strength to strength. 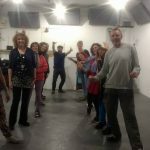 Fast becoming the first choice for laughter yoga training in London where we run regular laughter yoga classes in Archway and Finchley. Big congratulation to our incredible new laughter yoga leaders, an international group representing Italy, Sweden and the UK. We take our training very seriously and go the extra mile to ensure our trainees have the best possible start. The training school with a fresh new approach to help our students shine. 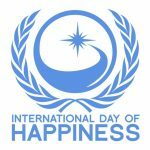 Spreading joy and happiness further and wider. Laughter Yoga never ceases to amaze me and I continuously hear more and more stories about how incredible this very powerful tool is for so many people. Laughter Yoga is and has helped colleagues, participants and clients. In this blog I share just some of their amazing experiences and stories. One lady, I will refer to as “N” who suffers from bipolar sent me such a lovely email of how laughter yoga is helping her. It brought tears to my eyes when I read it. I know it is helping her and she very rarely misses a class but to receive her heartfelt email was just beautiful. A guy I will call “George” also a regular at class. When he first came along I wondered if he was enjoying the class as he looked somewhat awkward and he was the last person I expected to come back again but then I received an email from George keen to know when the next class was. He had realised how he had become stuck in his intellect and had actually forgotten how to laugh. G had found the laughter yoga really helpful in reminding him how it felt to laugh. Regular Laughter Yoga classes helped George to reconnect with laughter and joy. The more we laugh, the easier it flows 🙂 Just like turning a tap on that has been off for some time. From this situation, I also learnt not to make assumptions about anyone’s experience and just because someone may look awkward at their first laughter yoga experience, one never knows what they are really experiencing and feeling inside. Laughter can be a very complex emotion and once we allow ourselves to push through our comfort zone, magic happens. Celia arrived at class having been recommended Laughter Yoga by a forward thinking GP 🙂 C has been diagnosed with chronic fatigue syndrome (CFS which is also known as ME or myalgic encephalomyelitis) and C is also suffering from anxiety. She has not missed a class yet and has been coming along for a few months. I can certainly see a huge rise in her confidence. I wish I had taken before and after photos 🙂 We have a chair on hand for C so she can take a seat anytime during the class. Most of the exercises work well for those who are seated. C is enjoying the classes and I am really hoping she keeps with the LY as I have many colleagues who have remarkable stories of how Laughter Yoga has helped with ME. Another one of our regulars, I shall call M. M just loves to Laugh and comes along to do just that and he often also joins us at our after laugh socials. A few months ago we had a fabulous group of laughers and the laughter meditation was a very very long one, truly very powerful. M totally reached that point of catharsis which is an incredible release and very powerful in it’s own right. So when M got home his writing just flowed. M is a script writer and he had reached a bit of a block with this particular script. The laughter yoga had helped to boost his creativity and got his creative juices flowing once more. I also see many many changes with our regulars, far to many to mention but the most obvious one is how their confidence grows with regular laughter yoga practice. It is literally like seeing a flower bloom, just incredible. So many of our regulars come along for help with anxiety, depression and probably most common of all Stress. Almost everyone mentions how they feel better and less stressed after a laughter yoga session or class. For further info or to book a Laughter yoga wellbeing Workshops for your group or business , please click to contact us today. We have experience of working with small/medium and global organisations, community groups, charities, hen parties. In addition to the incredible wellbeing benefits, our workshops are ideal for team building too!! You too can learn how to help others and lead laughter yoga classes and workshops. We have dates coming up in October/November 2017 in London for Laughter Yoga Training Courses in London. We are also happy to travel to you to deliver our training courses. 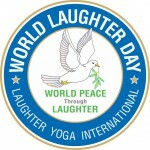 Please register via http://laughteryogawellness.co.uk/laughter-yoga-leader-training/ for further information and bookings. Laughter Yoga for Mental Health Awareness Week in London Laughter Yoga, it's so much more than just a laugh!! Very busy last week with no less than 8 workshops, mostly Laughter Yoga for Mental Health Awareness Week. Fabulous to see so many different organisations and corporations embracing Mental Health Awareness. I would be really surprised if each and every one of us is not affected by MH issues at some point in our lives, be it us personally or someone we know. I know how it feels to suffer the effects of stress, panic attacks and depression and I am thankful to have found Meditation at that time in my life. Meditation was my support tool until I had the strength to move away from an unhealthy working environment. Actually all that pain and misery was to be the making of me, drawing me to explore complimentary and holistic health and wellbeing methods and tools that I now work with to help others. 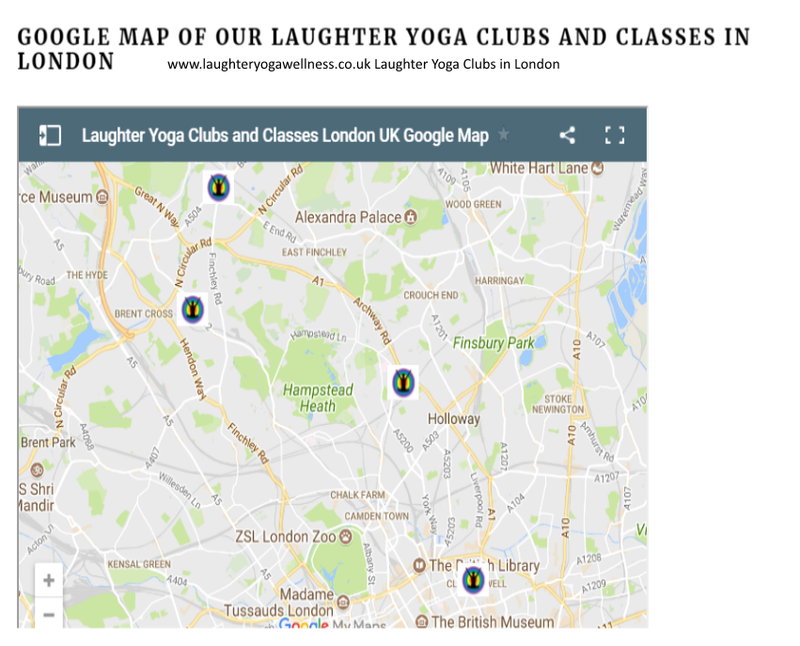 I now run Laughter Yoga Wellness London & UK. We offer various holistic health and wellbeing workshops and therapies that help people feel better in the workplace, including Laughter Yoga Wellbeing Workshops, Sound Meditation, EFT, Massage, Meditation and more offerings being added all the time. Fantastic Feedback from Imperial College where I held two laughter yoga wellbeing workshops for their Staff and Teachers as part of their #mhaw17 programme. How awesome, to be the highlight of their programme. Looking forward to more workshops at Imperial College. Some more feedback from participants at our Laughter Yoga Workshops for Mental Health Awareness Week with a few Media companies. All participants remarked on how less stressed they felt after the workshops. I wasn’t sure what to expect, but loved it and feel very calm and happy now! Really interesting session – never practised laughter yoga before and I definitely saw a difference in my mood. I loved this session and would recommend this to everyone!! Really good fun! Can we do it every Week? It was great to get out of my comfort zone. It was great! Very relaxing and uplifting! Relaxed – like being a kid again. Laughter Yoga is so much more than, Just a Laugh. Really this is a very powerful Holistic Health and Wellbeing tool. Contact us for more info on making a difference to the health and wellbeing of your staff.